The high pressure cleaner TC-HP 1334 is a high-quality and powerful pressure cleaner which proves its strength especially during mobile works and because of its small and compact construction. Ambitious cleaning works everywhere in the garden, yard or garage can be executed quickly, comfortably and thoroughly due to 1,300 Watt and a 3 m long high pressure hose. Due to an integrated 0.45 litre detergent container, even special tasks like washing your car or cleaning facades can be solved comfortably. The integrated central handgrip and the light weight of only ap.4.2 kg, which allows to carry the high pressure cleaner including accessories comfortably, cares for maximum mobility and simple transport. With its maximum pressure of 100 bar, this cleaning device produces a jet which removes even persistently adhering dirt reliably. The various nozzles and high pressure top parts can be changed quickly and simply by means of the modular jet-click system. To have them available at any time, there are practical stowage possibilities directly at the device. Additionally, this device can also be stowed in a place-saving way due to its compact construction. 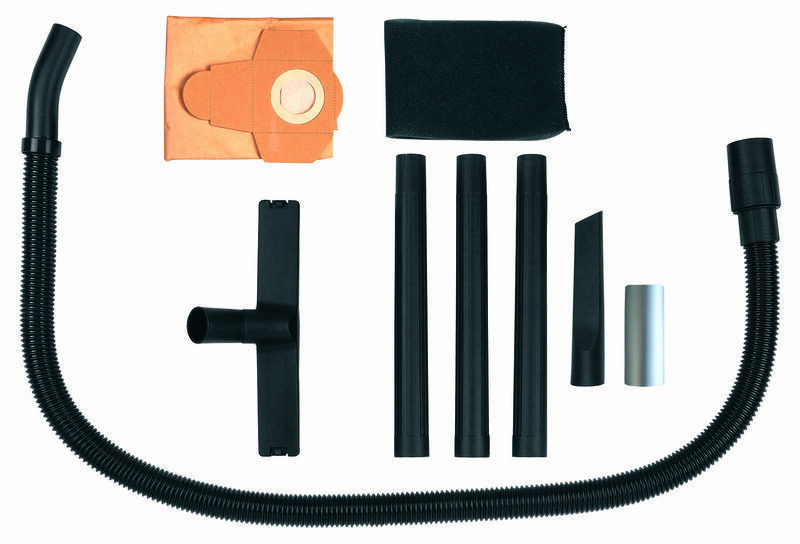 The easy accessories package is included to the kit. The TH-VC 1820 S wet and dry vacuum cleaner is a versatile, powerful all-rounder for simple wet and dry cleaning jobs, and should not be missing in any household. Its easy-to-clean stainless steel tank has a capacity of 20 liters for devouring coarse or fine, wet or dry dirt and even liquids. A 1250 W motor supplies not only a good level of suction power but also enough pressure to a blow connector for the user-friendly blow-cleaning of inaccessible areas. The TE-VC 1820 S comes with a 36 mm suction hose, a three-piece plastic suction pipe, a large suction nozzle with combination insert for carpets and smooth flooring, and a crevice nozzle. A dirt bag makes a clean affair of vacuuming up fine dust. A foam filter protects the motor against soiling during wet vacuuming. A float switch interrupts the suction power automatically when the maximum level is reached. Holders for the cable and accessories enable all parts to be stored away quickly and neatly directly on the cleaner itself. For user-friendly handling there is a carry-handle and four smooth-running castors.